In the same month that the Intergovernmental Panel on Climate Change (IPCC) set out the terrible consequences for human civilisation of inaction on climate change, the Chancellor’s budget speech failed to even mention it. That isn’t just environmentally reckless. It is also throwing away an opportunity to rebuild our manufacturing towns, create hundreds of thousands of skilled jobs and bring down energy costs for households and business. Countries around the world have understood the benefits of leading the energy transition and recognise the need for long-term policy stability, patient capital, government support for research and innovation, public ownership and investment in infrastructure. This has enabled Denmark, Germany and China to take clean technologies like solar PV and onshore wind on a journey from initial experiments, through pilot programmes and pre-commercial testing, to become mature industries. But in the UK, the picture is very different. In 2017, UK offshore wind capacity represented 36% of the global market. Yet, incredibly, the UK ran a trade deficit in offshore wind of hundreds of millions of pounds. They say you don’t carry coal to Newcastle, but our government’s failure to deliver a pro-active industrial strategy means that the UK, one of the most wind rich countries on earth, is reliant on imports. As with wind and solar power, so with emerging technologies like tidal stream and floating offshore wind. In Scotland, Wales and Southwest England, our coastline means we have fantastic potential to create electricity from waves and tides. Local companies have built up world-leading knowledge and expertise in tidal stream from years of painstaking testing and practice. The UK has more tidal stream developers than any other country in the world, and many of the technology concepts originated here. These are British firms, with a supply chain that is 90% domestic – creating high wage, high value jobs from Orkney to Wales and Devon. Because tides are scheduled, tidal stream has important advantages in helping balance intermittent renewables like solar and wind – making the potential global export market huge. Companies like Atlantis Resources and ITPEnergised are already collaborating to deliver a tidal stream turbine to China Three Gorges – China’s largest clean energy corporation and generator. But the government is effectively cutting the tidal stream sector out of the UK’s energy future, refusing to enable further development. The BBC has reported that marine renewables “could go abroad”, taking jobs and investment elsewhere. Other governments like France and Canada recognise the benefits of supporting the early stages of new industries, and are putting in place appropriate levels of revenue support for tidal pilot projects. There is increasing evidence of British companies relocating to France and Canada, where government is more supportive – taking know-how, technology, economic value and jobs with them. It is a similar story with floating offshore wind. While much of the UK’s seabed is shallow enough for “fixed” turbines standing on the seabed, this is not the case in deeper Atlantic waters off Cornwall and the west coast of Scotland. Here, in some of the windiest areas, a new type of floating turbine is needed, tethered to the seabed. Scotland is particularly well-positioned to develop the technology. There is a strong overlap with the skills of our oil and gas workforce, which has faced years of cutbacks. Supply chains for the next generation of floating projects – Kincardine, Dounreay Tri and Forthwind – stretch from Nigg Energy Park outside Inverness to Chelmsford in Essex and Truro in Cornwall. It seems odd, then, that just as British firms are ready to go, the UK government is choosing to kill off the floating wind sector. Those three arrays needed to generate power by this October to qualify for the Renewables Obligation. Delays beyond the power of the developers meant that two of the three couldn’t make it – leading to requests last spring to extend the deadline marginally. But Claire Perry wasn’t interested in keeping British industry alive – in the words of the trade association RenewableUK: “It looks as though the government doesn’t get it”. What further evidence is needed of this than the absence of a single measure to support renewable energy in this year’s budget? Meanwhile, other countries are less hesitant to act. The US, China and Japan have announced significant capacity goals for floating wind, communicating their long-term ambition. This sent a powerful signal to investors in those countries – Japan alone has committed over €1bn in five demonstration projects and one floating substation. In California, a floating wind farm is being built by Humboldt County’s publicly-owned energy company. Humboldt County has half the population of Hull. Unlike the Conservative government, the Labour Party is serious about ushering in a green jobs revolution. Unlike the Conservatives, we are committed to bringing homegrown green energy technology to maturity. A Labour government will not abandon local developers or manufacturers who are creating groundbreaking clean energy technology. This is not just because it is the right thing to do for the climate, but because of the tremendous economic opportunities from placing communities across the UK at the heart of a booming domestic and export industry. Every day this government remains in power is one these opportunities are thrown away. 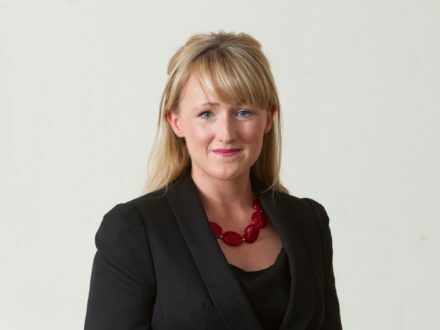 Rebecca Long-Bailey is shadow business, energy and industrial strategy secretary and MP for Salford and Eccles.